BlazBlue: Cross Tag Battle is a spin-off game in the BlazBlue series that released on May 31, 2018 in Japan, June 5, 2018 in North America, and June 22, 2018 in Europe for PlayStation 4, Nintendo Switch, and Steam. It was published by Arc System Works in Japan, Arc System Works America in North America, and PQube in Europe. 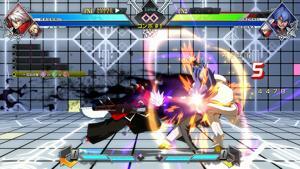 The game combines four franchises: Arc System Works' BlazBlue, Atlus' Persona 4 Arena, French Bread's Under Night In-Birth, and Rooster Teeth's RWBY. A fifth franchise, represented by a pink square, was teased at Evo 2018. It was revealed at the main stage of the 2017 Evolution Championship Series (Evo 2017). An arcade port was announced for NESiCAxLive2 and ALL.Net P-ras MULTI Ver.3 machines at Japan Amusement Expo 2019 (JAEPO 2019), which would include an update to version 1.5 with character balancing. Version 1.5 would be available as a free update for console and PC as well. On the stage of stories, mixing the four worlds together into a special alternate "Phantom Field." The fighters have been abruptly summoned to that world, with an unknown "voice:"
"If you wish to return to your world, protect the [Keystone]." —In the end, is that voice telling the truth? The entrusted keys number four. The fighters take a risk in order to return to their own world, and throw themselves into the battle to steal each other's "Keystone"—. - A cute room with 3D avatars! It serves as the entrance to all the other game modes, and includes fun gimmicks as well. 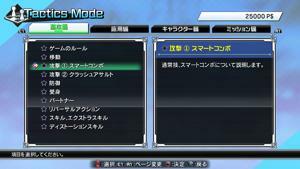 If you open the menu in Entrance Mode, you can choose between the various modes of the game. - Enjoy BBTAG's story. What lies before their intersecting fates!? - Set a variety of parameters and enemy actions to practice your moves. - Choose characters, stages, and music freely. A mode that you can enjoy versus friends or CPUs. - A mode which will give you a lecture on various techniques. Those new to fighting games should check out this mode first. - Fight against the computer to test your own strength and limits in a mode where you fight against all sorts of opponents. - With pictures of each character and such, you can zoom and shrink to see them. You can also see movies you've already seen before. - Online battles and so on that have been recorded can be replayed in this mode. Watch for patterns in matches with your friends, and reflect upon the battle. - Chat with other players and participate in online battles. - Aim for the top! Put your own rank on the line in the Ranked Lobby. You will be matched with opponents close in ability to you. - Have fun in a private space! Item Shop - A place to obtain character colors and avatar characters. Purchase them with Platinum dollars (P$) which can be obtained from other modes and online battles. It was announced early on that BlazBlue: Cross Tag Battle would not take place in the main BlazBlue storyline, but was said to be a possibility. The main story would focus on the crossover of the four series, and Guilty Gear characters would not be present. Futhermore, there would be no arcade version, and it would be a straight release to consoles. 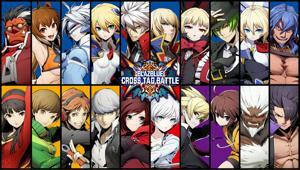 Mechanically, it would be different from BlazBlue. At the time of the game's announcement, the "expected" or obvious characters had already been decided for the roster. The game was announced relatively early in its development cycle due to the developers wanting to hear the players' requests for characters. Overall, characters were chosen with the game balance and game system in mind first and foremost, so that a wide variety of players would be able to play and enjoy the game. 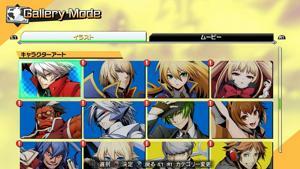 The characters from other (non-BlazBlue) franchises were chosen by sending a list of characters over to their companies. The list would be whittled down there, and sometimes they would make a request for a specific character to be included. Cross Tag Battle's first gameplay video was released during New York Comic Con, on Oct 6. Character trailers and additional gameplay videos are shown during the monthly Japanese-language ARC SYSTEM WORKS Official Live Regular Broadcast, aka ArcNama Regular Broadcast (あーくなま定期便 Ākunama Teikiben) or simply ArcNama (あーくなま Ākunama), hosted by Arc System Works. ArcNama Regular Broadcast is an offshoot of the original, irregularly-streamed ArcNama, which featured various Arc System Works games. The ArcNama Regular Broadcast, on the other hand, is streamed on the third Friday of every month at 8 pm JST on both Twitch and NicoNico simultaneously,. Its first episode was streamed August 2017. Following RTX London, Arc System Works published an article with updated screenshots of gameplay for the newly-announced characters Weiss and Hazama. An additional character trailer (Character Introduction Trailer #2) was revealed at RTX London 2017. 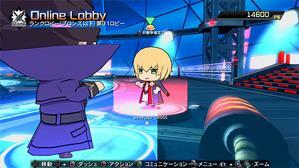 A "Special Promotional Trailer" was broadcast during Arc System Work's Fighting Game Awards (ASW FGA) at the end of the BlazBlue portion of the tournament, prominently featuring and introducing all twenty characters that had revealed up until then, as well as revealing the Japanese release date, Blake, and the final character count of forty characters, twenty of which (including Blake) would be downloadable content (DLC). This was followed up with further details about the release, including the North America release date, prices for physical and downloadable versions, and details about the limited edition. On Feb 6, 2018 it was announced that Cross Tag Battle would be the fourth game present at the Evolution Championship Series 2018 (Evo 2018). Along with a broadcast of a fully English-subtitled version of the ASW FGA trailer, it was revealed that Blake and Yang would be provided as free DLC. On Feb 7, 2018 the first English-language Arc System Works Official Livestream, ARC Live!, was announced on Twitter and streamed on Twitch at 4 pm PST. 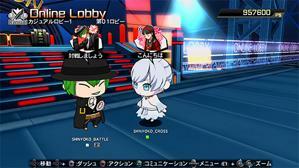 Mirroring the Japanese-language version of the livestream, various Arc System Works titles are showcased during the live with gameplay, including Cross Tag Battle. It was mentioned on stream that the series would be streamed weekly. During the first ARC Live!, an ASW staffer reconfirmed that Blake and Yang would be free DLC, that the four RWBY characters would have both English and Japanese voices, and clarified that Blake would be available at launch, while Yang would be available shortly after launch. 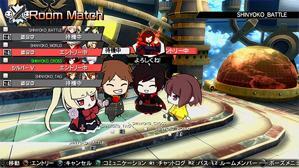 At a press release in mid February 2018, attended by BlazBlue producer Toshimichi Mori and Arc System Works CEO Kidooka, it was announced that Cross Tag Battle would support dual audio with full English and Japanese voices. During ASW FGA, it was announced that Arc System Works would appear at the 2018 Japanese Evolution Championship Series (Evo Japan) with a new demo featuring twenty playable characters (the twenty non-DLC characters). 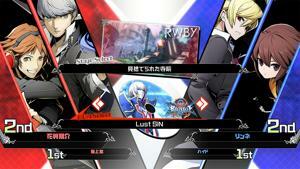 It was announced at a later date that Arc System Works would also be appearing at Taipei Game Show 2018 (TaGS, TGS) along with a playable demo of Cross Tag Battle. 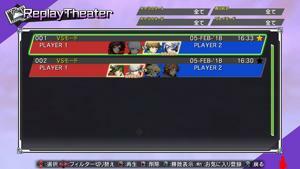 This second playable build of Cross Tag Battle was presented simultaneously at Evo Japan (Jan 26-28, 2018) and Taipei Game Show (Jan 26-29, 2018). In January 2018's build, Reject Guard and Distortion Duo had their costs changed to use 1 skill gauge and 2 skill gauges respectively, Resonance Blaze's max level was increased to five, and the amount of time spend in Resonance Blaze was changed to fifteen seconds excluding hitstun regardless of level. One round's length was increased to 180 seconds, and players started the round with only one skill gauge available out of a maximum of six. Additionally, this build added stage names to the pre-battle cutscene, as well as the Crash Assault "Crash!" indicator. The roster was increased to twenty, adding in Noel Vermillion, Azrael, Iron Tager, Makoto Nanaya, Nu-13, Es, Chie Satonaka, Yukiko Amagi, Waldstein, and Gordeau. On March 8, 2018, Arc System Works America revealed that Cross Tag Battle would be playable at Anime Ascension at Irvine, California (Mar 31-Apr 1), and Anime Boston at Boston, Massachusetts (Mar 30-Apr 1). A week after, it was also revealed to be at Sakura-Con in Seattle, Washington (Mar 30-Apr 1). These three conventions were the first to have available a playable build of Cross Tag Battle featuring the English dub. The English dub would also continue on to be featured in the ARC Live!s following these three events. They were followed by Sakura Fight Festa in London (Apr 7-8), the Brussels Challenge in Brussels (Apr 7-8), and Next Level Battle Circuit in New York City (Apr 11). From Apr 8 to May 19, Cross Tag Battle playable demos were featured in various stores across Japan, alongside demos of Persona 3 Dancing Moon Night and Persona 5 Dancing Star Night.. Demos were also made available in various GameStops across North America the week after April 11, and users were encouraged to provide feedback through the hashtag #BBTAGdemo. The fighting game tournament KSB 2018 in Kansai (May 4-6) featured a new build of Cross Tag Battle containing the twenty base roster characters with their finalized command lists, as well as allowing Blake and Kanji, Orie, and Platinum from the DLC Character Pack 1 to be playable for the first time. BBTAG released a free trial on Steam for the duration of Evo 2018's weekend, allowing players to try out any of the twenty base characters in the roster. After Evo 2018, the DLC characters for Character Packs 4, 5, and 6 were revealed and made available to demo at Evo's Bar Fights afterparty. Hosted by Arc System Works America, the North American demo covers the beta and demo available to Canada, Mexico, and the USA for the PS4 and Switch. Hosted by PQube Games, the European demo covers the beta and demo available to Europe for the PS4. They did not host a demo or beta for the Switch. Hosted by Arc System Works, the Japanese demo covers the beta and demo available to Japan for the PS4 and Switch. On March 2, 2018, the BlazBlue official twitter announced a special campaign called the My Tag Cheer Campaign (推しタッグ応援キャンペーン Oshi Taggu Ōen Kyanpēn). During this campaign, fans could tweet with the hashtag #BBMyTag to express their favorite tag-team in BlazBlue: Cross Tag Battle. Tweets in the hashtag containing original art would be retweeted by BlazBlue's official account, and fans could like or retweet others' tweets to show support. Especially popular tag teams would have a gameplay video made for them. Additionally, players who participated in the hashtag were automatically entered into a drawing for a specially-illustrated tapestry drawn by Konomi Higuchi, the main designer for Cross Tag Battle. It was later clarified that only participants living in Japan could be sent the prize, although participation itself was open to everyone. The event closed on May 31, 2018. Beginning today, the "My Tag Cheer Campaign." Our starting tag-team ended up being Weiss × Waldstein! Although it's a surprising combination, there's more than enough potential! Please enjoy, and be sure to turn the sound on. This time's tag team is Ruby・Orie! The bright Ruby and calm Orie, whether in public or in private will form a good team! Please enjoy it with the sound on. This time's tag team is Es・Linne! The two that shoulder great destinies on their small frames. Can they become friends as well as partners in battle? Please enjoy with the sound on! This time's tag team is Makoto・Chie! Kicks, punches, and guts interweave; these two's combination is unstoppable! Please enjoy with the sound on! This time's tag team is Hakumen・Weiss! Beautiful yet stern, graceful yet dauntless. When the two fight together, none can look away! Please enjoy with the sound on! The BlazBlue official Twitter (@BLAZBLUE_PR) began posting a series of tweets counting down to the first day of beta testing for Cross Tag Battle two weeks before the test. Each tweet featured a tag-team and a movie showing off the team's unique intro and outro lines. ［2 Weeks Until the Start of BBTAG's Beta Test!］The forever bickering Ragna and Jin. However, when forced to fight together, the siblings depend on each other...!? ［13 Days Until the Start of BBTAG's Beta Test!］The exchange of high-fives is proof of their friendship. At Yosuke's words, Yu is in a surprisingly good mood? ［12 Days Until the Start of BBTAG's Beta Test!］From wielding the same type of weapon comes a certain harmony. Just which part of Ruby's high spirits does Gordeau find amusing? ［2 Days Until the Start of BBTAG's Beta Test!］Yukiko's fire and Weiss' ice dance. Although it makes for a breathtaking show, the two seem a little dissatisfied...? ［1 Day Until BBTAG's Beta Test Begins!］Yosuke speaks, yet Linne reacts philosophically...!? But when it comes down to it, these two can finish the job! ［BBTAG's Beta Test Begins Today at 16:00!］Ruby takes a deep interest in Ragna's weapon. Even being scolded isn't discouraging...! 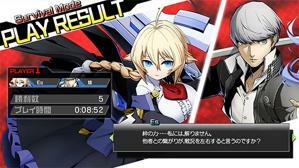 ［BBTAG's Beta Test Begins!］Noel's caution contrasts against Hyde's aggression. However, they don't forget to follow [each other]...! ↑ Twitter, PQube (@PQubeGames), #BBTAG NEWS! Europe will be getting a PS4 offline demo from May 18 until release! There will also be a PS4 closed beta: May 18 to May 20 with 4 characters! There will not be pre-orders on the PSN or the e-Shop. Switch will not have a demo or beta. Release slated for June! ↑ Arc System Works (JP), BlazBlue: Cross Tag Battle announced for the platforms PlayStation 4, Nintendo Switch, and Steam! ↑ Arc System Works (JP), BlazBlue: Cross Tag Battle's first playable demo will be available in four cities worldwide! ↑ Famitsu (JP), BlazBlue: Cross Tag Battle's release date, Blake Belladonna revealed! ↑ Twitter, Arc System Works (@ArcSystemWorksU), The #BBTAG Gamestop demo rollout is still going strong! Who has had the chance to get their hands on it? Share your pics & thoughts with us with #BBTAGdemo! ↑ Twitter, @arcsystemworksu, #BBTAG is rocking the main stage at #EVO2018 - so let’s celebrate with a free weekend on Steam! Play with the base roster from right now until August 6th. Join the #EVO2018 hype and try it out! ↑ Arc System Works, BlazBlue: Cross Tag Battle Open Beta and Demo Comes to Switch! ↑ Arc System Works (JP), Twitter campaign #BBMyTag "My Tag Cheer Campaign" Begins!